Next seasons fixtures have been belched out by the computer with just 59 days to go to kick-off. The Fixture Computer has completed its complex computations, the lights have stopped flashing, all whirring and clicking has ceased and floppy disks have been dispatched to the anxiously waiting media. True to form, West Ham have been scheduled to play every other team in the league two times during the season but despite this certainty there is plenty of opportunity to agonise over the order of games. The season kicks-off on 12 August (TV schedules permitting) with a visit to the Theatre of Defeats where Jose will be unveiling several hundred millions of new talent. The following weekend is meant to be a home game against Southampton but as the retractable seating will yet to have been bolted back together after the World Athletics Championships then this match will need to be rescheduled; I assume by swapping it with the Saints away fixture in March 2018. The first game at the London Stadium will be against relegation fodder, Huddersfield Town on September 9 while they are still in the Premier League honeymoon period of insane effort and optimism. At least the transfer window will have finished by then and all the last minute loans will be in place. A good start to the season is always welcome as it serves to relieve any early pressure or uncertainty but it would be a surprise to earn such a luxury this coming season. Still there is always the odd early season surprise. Injuries, suspensions, fixture congestion, cup runs and loss of form are all more likely to impact the progress of the season than the order in which the games are played. Nevertheless, if we do experience a repeat of last season’s poor performances the run-in is not the one you would have chosen; featuring as it does four of the big six (plus Everton) in the last eight games. Fingers crossed that we have accumulated forty points by Easter. 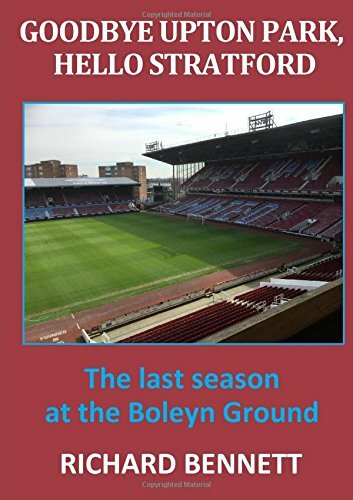 To date it remains pretty much as you were at West Ham and at this stage the Hammers must be regarded as at least a metaphorical twenty points behind in the polls. Never say never, though, and all that is required are inspired signings, better tactics, sharper training, improved fitness and a more objective approach to team selection and we could end up as contenders.